Jane Warren has been a full time faculty with the MA Counseling program with Saybrook University since June 1, 2016. 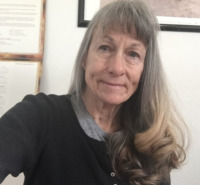 She was an Associate Professor at the Department of Professional Studies-Counselor Education Program, College of Education, and University of Wyoming from 2007 to May 14, 2016. From 1985 through 2007, she was employed as a counselor, supervisor, and agency director for a Wyoming community mental health center working with both mental health and substance abuse challenges with individuals, families, and groups. She is licensed in the state of Wyoming as a Licensed Professional Counselor (LPC), a Licensed Addictions Therapist (LAT), and a Licensed Marriage and Family Therapist (LMFT). From 2000 through 2008, she also served in the Wyoming State Legislature as a member of the House. In that role, she was successful with such legislation as changes in the ethics codes for practitioners, DUI assessments, voting rights for persons with felonies, and enhanced funding for mental health services. In 2007, she became a full time faculty with the University of Wyoming, USA. To date she has published numerous peer reviewed journal articles focusing on topics such as counseling ethics education, sanctioning and ethics, addictions education, driving under influence treatment, motivational interviewing, working effectively with LGBTQ persons as a counselor, and Buddhism in recovery. She is so excited to work with the Saybrook program and hopes to serve as a guide, a mentor, and a be person with whom you can connect.